Summary: Many people wonder whether making the switch to contact lenses is worth the time and money. Here are some factors that could help shape your decision. Debating whether contact lenses are the right decision for you or your loved one is a decision that comes down to two things: finances and lifestyle. 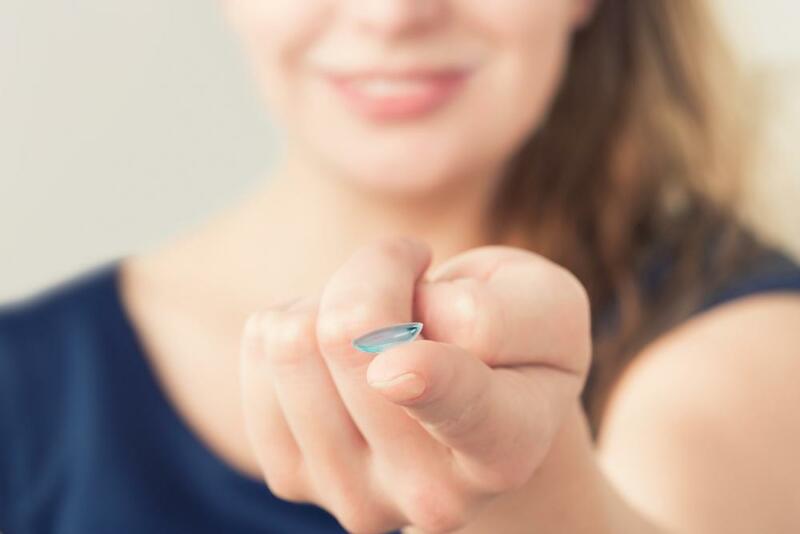 This guide will help break down everything you need to know about contact lenses so you can decide whether contact lenses are the right choice for you. Before you order contacts from an online store like Lens.com, you need to visit your optician first. This is a crucial step that must not be overlooked. For one, your eye doctor must confirm that your eyes are healthy and suitable for contacts. Secondly, you may need a new prescription, barring you haven’t been to the optometrist in a long period of time. Whatever the case may be, it’s important that you consult with your eye doctor before making a purchase. Contact lenses are known for their outstanding comfort. Because they don’t need a frame and fit comfortably in your eyes, these vision correction tools sit flush in the eye and feel natural. Now, there are two types of contact lenses that you can purchase – hard contact lenses and soft lenses. There are notable differences between the two and if you are having difficulty choosing one over the other, consult with your eye doctor. If you are concerned about dry eyes or irritation caused by contact lenses, don’t be. Thanks to technological advancements, contacts are designed with new materials that absorb and retain moisture. This mitigates the risk of dryness and the possibility of infection. However, it is extremely important that you clean and maintain your lenses appropriately or you could find yourself with more bacteria in your eyes than you originally planned. To learn more about proper maintenance, be sure to talk to your eye doctor about the risks that you face so you can get a head start on the cleaning process. Determining whether contact lenses are right for you comes down to a variety of things. Comfort is obviously one of them, but you’ll also need to focus on the financial aspect as well. Because contacts tend to run on the more expensive side, you need to be sure that they fit in your budget. Also, remember that if you do decide to switch to contact lenses, your eyeglasses can serve as a backup tool or can be used on days where you don’t want to wear lenses. Summary: Dry eyes can be both irritating and potentially harmful if not handled correctly. It is a common misconception that contact lenses and dry eyes are similar to that of oil and water. Yes, suffering from dry eyes does mean that the moisturizing film in your eyes aren’t working as well as they could, but it does not rule out your ability to wear contact lenses. However, it can make wearing your contacts much more difficult, and may even exacerbate the symptoms of dry eyes. If you suffer from dry eyes and wear contact lenses, follow these tips to make your experience much easier. Every time you handle your contact lenses, you need to make sure your hands are clean. Touching your contact lenses with clean hands makes it less likely that you will transfer pathogens from your fingers and onto your contact lenses. This could lead to serious infections that could require medical attention. Lens.com, a trusted contact lens supplier, recommends washing your hands with water and mild soap, then thoroughly drying them with a delicate towel before touching your contact lenses. By doing so, you will be at a higher risk of developing an infection on your cornea. The reason behind this is because your contacts do not allow your eyes to receive the proper amount of oxygen as they should have, creating a breeding ground for bacteria. Moreover, infections that occur on the cornea may lead to corneal ulcers, which are essentially sores that develop in the eye. If you wear your contacts until they are literally falling apart every time you take them out, you might want to make a change. On each box of contact lenses, you will see how often you should make a change. Even if you believe that you are clean and sanitary after every wear, debris naturally starts to build up over time, making it more difficult for your natural tears to spread evenly across your eyes. This won’t do you any favors, especially if you are suffering from dry eyes. On the other hand, if you are not practicing good hygiene, it becomes even easier for them to collect microorganisms like bacteria that can cause an infection. Always make sure you follow the instructions provided by your optician to maximize the safety of your eyes.